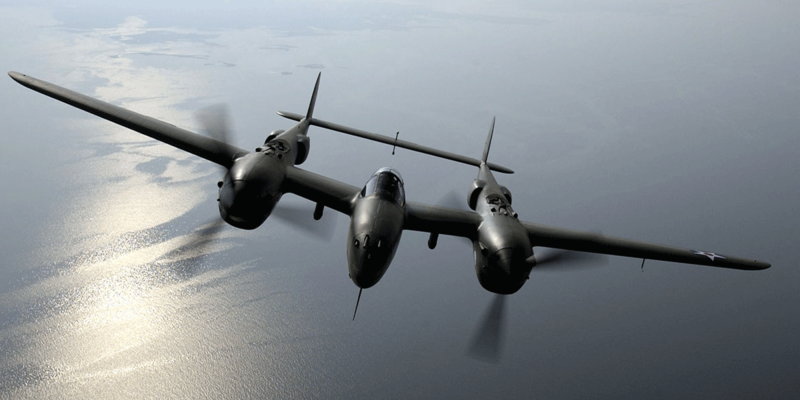 The P-38 Lightning is a World War II–era American piston-engined fighter aircraft. Developed for the United States Army Air Corps, the P-38 has distinctive twin booms and a central nacelle containing the cockpit and armament. The P-38 was the only American fighter aircraft in large-scale production throughout American involvement in the war.